At Lumenis we are committed to providing the highest quality and the most comprehensive service in the industry for medical equipment repair and maintenance. Lumenis Service provides you with peace of mind, so you can focus on patient care, not the equipment. What Is Included In Lumenis Service Contracts? Lumenis provides you with the most comprehensive service and maintenance plans in the industry for medical laser repair and maintenance. Variety of Service Plans were tailored to meet your individual needs and provide you with unsurpassed quality, timely, and cost-effective service. As the manufacturer, only Lumenis has the ability to perform post-market surveillance of tens of thousands of Lumenis systems all over the world to identify any potential risks and safety issues and act proactively to prevent them by installing software updates, performing calibrations, and ensuring a Lumenis system performs at its optimal level. By doing so we are able to minimize unnecessary downtime of your Lumenis system and reduce your corrective service expenses. Lumenis Service partners with our customers to ensure safety and compliance with the latest CMS and The Joint Commission requirements, the highest quality standards in the industry. According to the updated CMS4 and The Joint Commission5 requirements, Medical Laser devices’ maintenance should be performed according to the manufacturer’s specifications and is not eligible to be managed via an Alternate Equipment Management (AEM) program. These regulations intend to limit potential for injury and inadvertent light exposure during service of the Medical Laser devices. ANSI Z136.3, ISO 13485, CMS and The Joint Commission’s latest requirements. to support The Joint Commission requirements. After manufacturer’s warranty expires, medical equipment service repair and replacement costs become a customer’s responsibility. 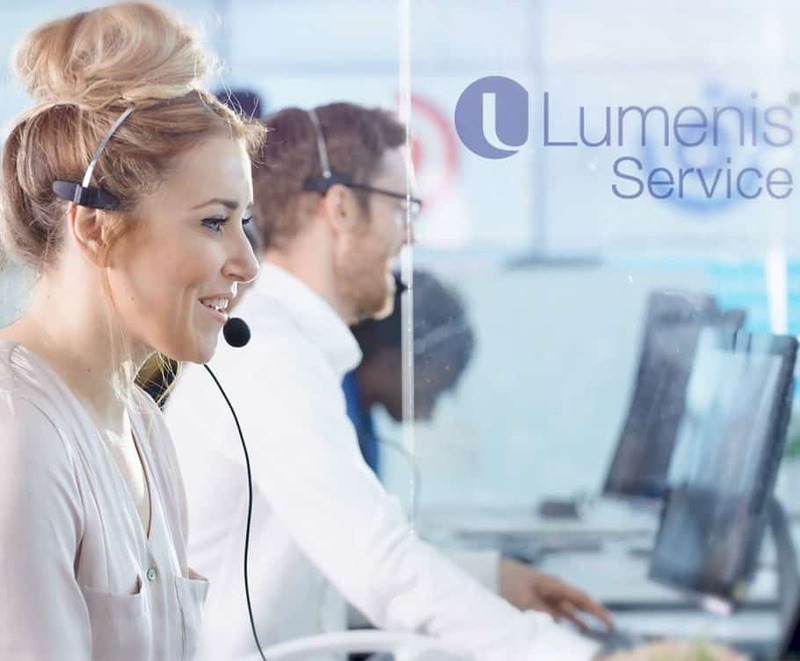 Lumenis Service offers predictable and cost effective solutions for all types of accounts and budgets that can save our customers thousands of dollars over the lifetime of a Lumenis System. Comprehensive, all-inclusive Lumenis Service Plans can help you save substantial money and lower the lifetime cost of ownership by covering all parts, accessories, labor and travel, and performing regular Preventative Maintenance check-ups. All these eliminate exposure to unpredictable substantial expenses and prevent many problems from ever occurring, while extending the life of the laser and optimizing its performance. Click here to find your local service center for LightSheer, M22, AcuPulse , UltraPulse, Holmium, Ophthalmic and some other Lumenis laser system repair and maintenance services or fill in the contact form and our regional service expert will contact you shortly. “Being under a Lumenis Service Contract has been great for Fauquier Hospital in every way. Lumenis Service does a great job! Timely performed semiannual Preventative Maintenance check-ups were provided as part of the service contract benefits provided by Lumenis. Whenever we get audited by The Joint Commission, thanks to the service for our lasers provided by the manufacturer, we are able to pass the audit and accreditation verification with flying colors. Once we present documentation of Lumenis’ equipment service performed by Original Equipment Manufacturer, then we easily pass the audit with no additional questions asked. Laura Nicely – Clinical Engineering Manager Fauquier Hospital Warrenton, VA.
Rekha Singh, M.D. – Atlanta Laser Clinic Suwanee, GA.
Nancy Neusen, RE – Clinic of Medical Electrolysis Fond Du Lac, WI. Lumenis Global Service Organization includes service centers in key locations in Europe, North America, Latin America, India, Australia, China, Japan and Israel. Click here to find your local service center or fill in your details on our online contact form and our regional service experts will get in touch with you shortly. Under Premium Protection Plan, Total Protection Plan,and Enhanced Protection Plan. For more details please see the description of each plan. Following training will be provided to a biomedical/clinical engineering personnel available at the time of installation and/or PM visits: basic theory of operation, user maintenance & cleaning, recognition & resolution of user error messages, training of user replaceable parts, general training on connection and maintenance of accessories.